Hue Jackson admitted early this week the Browns should be giving more touches to Nick Chubb. It is a sparkling revelation from fantasy football’s coaching version of a wet blanket. Jackson steadfastly refused to play his best quarterback until injury and continued ineffectiveness befell Tyrod Taylor. He’s now given sparse touches to a man averaging 14.6 yards per carry. While Carlos Hyde has been effective from a fantasy standpoint, he’s been an inefficient real-life runner and offers limited big play upside. Chubb remains an excellent bench stash, and as the Browns fall further out of the race under Jackson’s watch, they figure to see what they have in the former Georgia Bulldog. 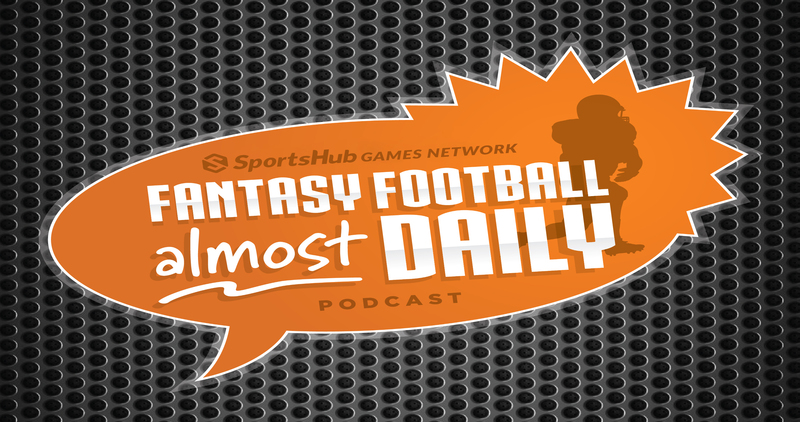 Week 5 Waiver Wire Pod! Charch and Mat go over the week 5 waiver wire options and everything you need to know! Mark Ingram’s suspension is over and boy did they miss him. Kamara had to take all the touches himself and … yeah… I can’t even joke.. they didn’t miss him much. One would think this is bad news for Kamara, but they both can be viable. In 2017, from week 8 until the end of the season both running backs hit the top 10 together 5 times. Four of those weeks they both finished as top 6 running backs. Kamara is still the back to own, but Ingram will be very startable. Julian Edelman will return from suspension this week and the Patriots need it. They have been light on wide receivers all year and finally showed up offensively last week. Edelman should jump right in and become Tom Brady’s favorite woobie once again as they have the most chemistry and Gronk is ailing. After tearing up the league with a record breaking 13 passing touchdowns through three weeks Patrick Mahomes went on the road to face a big rival with an angry defense in one of the traditionally toughest stadiums to hear yourself think. At the half it looked as though it would swallow up another young QB as it has many times before. Not this time. Mahomes got out of the pocket and found a multitude of targets while improvising his way to 192 out of the pocket passing yards, most in the league in over a decade. When all was said and done Mahomes broke 300 pass yards with a passing and rushing touchdown delighting Fantasy owners and Chiefs fans who saw this kid is for real and won’t wilt under pressure. Coming on the heels of Earl Thomas fracturing his leg yesterday in the other highly publicized player/team contract dispute, word comes that Bell will show up during the week 7 bye. The Steelers offense has clearly not been the same the last few weeks with out him. Conners carry totals have been down as has his yards per carry leaving the Steelers one dimensional and predictable. Bell has been seen looking a bit hefty and will probably need the next four weeks to get in to game shape. Note the Steelers are said to still be open to hearing trade offers for Bell. Gulp. Speaking Monday, Coach Doug Marrone stated he had no estimated timeframe for Fournette’s absence. Hamstring injuries are a notoriously fickle mistress and it is concerning this is the same issue lingering from Week 1. It would not be surprising to see this absence stretch for one month or more. Fournette owners have little to do other than ride this out, while T.J. Yeldon will continue to be a weekly play. Winston came into the game in week 4 and was immediately more effective than good old Stew Beard despite throwing a pair of picks. Here’s a quick reminder that in the 11 full games Winston played last year, he was averaging 306 yards per game and was on pace to lead the NFL in passing. Much like Fitzpatrick in the last few games, Winston should be in several shootouts and their defense is so bad and rushing game is so bad that they will need to pass to stay in games. Jonathan Stewart is set to miss 8 weeks with a foot injury but may return later this season. This doesn’t matter for your fantasy team or really for the Giants. I’m not sure why I wasted time typing this. Sorry you spent time reading it. After a late scratch yesterday afternoon sending Carson owners into a frenzy looking for a 4:00 replacement he is said to be ready to go in week 5. If you were one of the unfortunate ones to plug Rashaad Penny in thinking the breakout was here against a league worst Cardinals run defense only to get Davised (it’s a word trust me). It’s safe to say he far from significant touches and I wouldn’t waste FAAB or a waiver priority on Mike Davis either. O.J. Howard will miss 2-4 weeks with a sprained MCL. This is delightful news to Cameron Brate owners who know Winston has had an affinity for Brate especially new the endzone. He should be added if available in all formats. Calvin Ridley has now scored 6 time in the last 3 games. As Fanball writer Ryan McDowell put it… we arn’t far from debating who is the better dynasty asset: Ridley or Julio Jones. Also, Julio Jones is on pace for an 2008 yard, no touchdown season. This will likely disappoint many fantasy owners, somehow.